In the past couple of days, there have been reports in the media that Prashant Kishor, the Congress strategist, has suggested that the party's Vice President, Rahul Gandhi, be projected as the Chief Ministerial candidate in the state of Uttar Pradesh, that is going to polls next year. 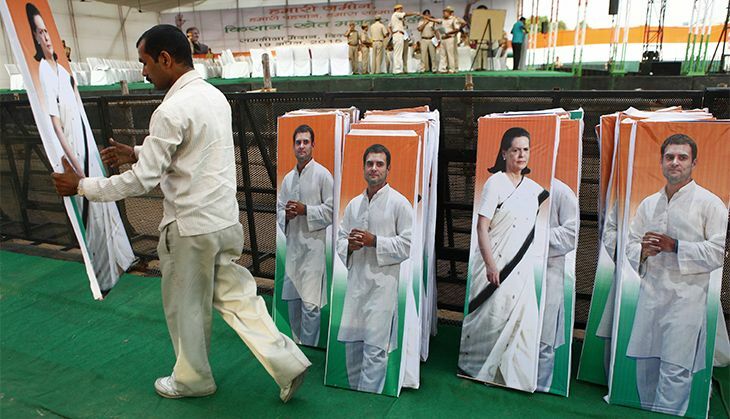 The media had reported earlier that Kishor had proposed Priyanka Vadra's name too, but as usual, she wasn't willing. Senior leaders like Jairam Ramesh rubbished such reports on 2 April and went on to say that he expected Rahul to take over as the party's president in 2016 itself. Even Jyothiraditya Scindia and most other party leaders and all spokespersons took that line. There have been conspiracy theories going around that Kishor's strategy is to help Nitish Kumar - who conferred Kishor with a Cabinet rank in Bihar - emerge as the challenger to Modi in 2019 by pushing Rahul down the pecking order. Kite-flying in the wake of the lack of a credible face for the Congress to project in UP, could be the easiest explanation. While there could be too many arguments against pitching Rahul as the face of the Congress and Chief Ministerial candidate in UP, there could be many a compelling argument for it and against a safety first strategy. First among them would be the Congress' own lack of success in the polls post 2014 when they succumbed to their worst ever defeat in general elections, winning a mere 44 seats. The success of the grand alliance in Bihar where the Congress was a tail-ender to Nitish Kumar and Lalu Prasad could hardly be credited to the Congress. While the BJP had called for a "Congress-mukt Bharat", they themselves might have not fancied that it would be so much of an easy proposition. With two Congress ruled states - Kerala and Assam - going to polls this month, they might fall to the wayside, going by various opinion polls and surveys. The Congress may soon be limited to just one big state in Karnataka in the South and the hill states of Himachal Pradesh and Uttarakhand (if Harish Rawat wins the trust vote) in the North apart from the three small states of Meghalaya, Mizoram and Manipur in the Northeast. Congress wipe out by 2019? The trend in Himachal Pradesh and Uttarakhand, going to polls next year, has been alternating governments of the Congress and the BJP. That could mean that Congress would be limited to just one state in Karnataka in the mainland and 3 small northeast states in 2017 unless it manages to wrest power in Punjab by staving off a stiff challenge from the Aam Aadmi Party or in Gujarat against all odds. As for the states in the Northeast, if Manipur goes the Arunachal way with mass defections, Congress' troubles would multiply further. In the Hindi belt, the Congress appears to be in no shape to wrest back power in Madhya Pradesh, Rajasthan or Chhattisgarh in the next few years. With Karnataka itself going to polls in 2018, and with the BJP getting their tainted strongman BS Yeddyurappa back in the fold as party president, the worst case scenario for the Congress would be to go to the general elections in 2019 without being in power in a single state apart from a couple of small states in the northeast, where ideology is more flexible and attuned to the party in power at the centre. And that would indeed be a Congress-mukt Bharat. While this might still be an improbable reality, it's certainly not impossible to imagine such a scenario with the way we have come to debate certain issues in our country of late and the pathetic state the Congress party finds itself in. Rahul Gandhi the solution the party is waiting for? One way to change the flagging fortunes of the party in general and the moribund state unit of Uttar Pradesh in particular would be to project Rahul as the Chief Ministerial candidate. It doesn't mean that in the event of an unlikely victory, Rahul would rule himself out as the challenger to Modi in 2019. Even as Modi positioned himself in 2012 and got chosen to lead the BJP in 2013, he remained the Chief Minister of Gujarat till he got his party past the post in the general elections of 2014. 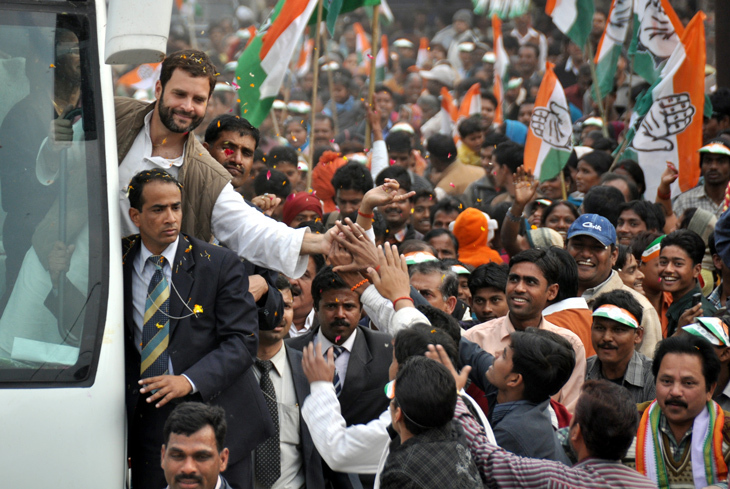 In case Rahul doesn't manage to take the party beyond a 100 seats with an alliance comprising of the Janata Dal and Rashtriya Lok Dal, that would still be a plus and rejuvenate the state unit massively in the run up to 2019, where the Congress' performance would matter a lot even if many parties in the opposition unite to try and dislodge Narendra Modi. The BJP themselves had identified UP as the key state that they had to win if they were to come back in the centre in 2014. A good performance in Uttar Pradesh in 2017 would eventually rub off in the neighbouring states of Rajasthan and Madhya Pradesh as well. And in the absence a popular Chief Ministerial face in UP, the Congress could be yet again relegated to the fourth position unless debutant Asaduddin Owaisi's AIMIM manages to push them down further. Another reason for Rahul to take such a risk would be to give the impression that he is willing to take risks and lead from the front, in turn rejuvenating the cadres. Also the readiness to occupy positions of responsibility that he seemed to be unwilling to in the 10 years that the UPA were in power in the Centre. It could also change his image massively from that of a reluctant leader. The recent events in Uttarakhand and Arunachal Pradesh also indicate that it would be better for Rahul to not assume the additional burden of the post of President of the party anytime soon. The rebellion in Assam eventually led to the ouster of Himanta Biswa Sarma. The ticket distribution fracas in Kerala was a disaster. With the Congress still possessing the most talented and qualified politicians across parties and before many leaders choose to desert the ranks in the Hindi belt, it would be a watershed in the history of the party in UP, if Rahul were to decide to take the plunge.